We are not discussing driving skills but from a safety aspect it a huge negative. As people stay in Home Stays across Coorg, internal roads in the estates to these Home Stays can get tricky as these are privately maintained. The beautiful road from Suntikoppa to Madikeri has accidents almost every week as tourists do not understand or are not able to gauge the risks of driving in the hills. from a safety point, AMT may prove fatal, if not handled properly. pardon my ignorance on the topic. Looking at these discussions of how careful one should be while driving the AMT especially in hills it won’t be a bad idea if maruti gives a lesson or two ( or even more considering the waiting period) in it’s driving schools for people buying the cars. Personally I really had to answer many people when I bought my i10 automatic back in 2009 on similar issues ; more so when i made road trips to hill stations… but i never felt it lacking on any front . Of course like someone has mentioned very clearly one definitely has to be much more careful when driving in the hills. 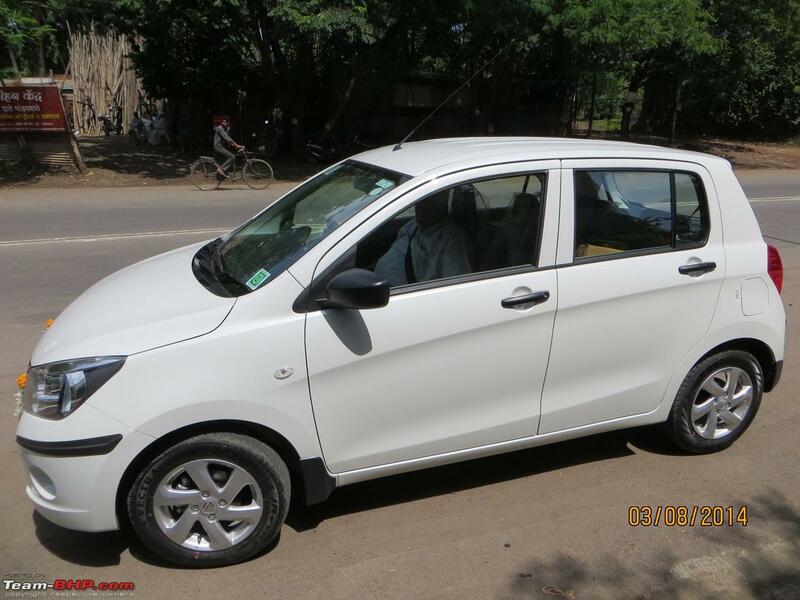 Through sources I have learnt that the Celerio is designed and developed keeping the Hyundai i10 as benchmark. Took a test drive yesterday. I observed a strange behavior and would appreciate inputs from experts. When I first started the car, engaged D mode and lifted my foot off the brake, the car did not creep forward. The ground was level and the a/c was OFF. I had to lightly press the accelerator to get going. 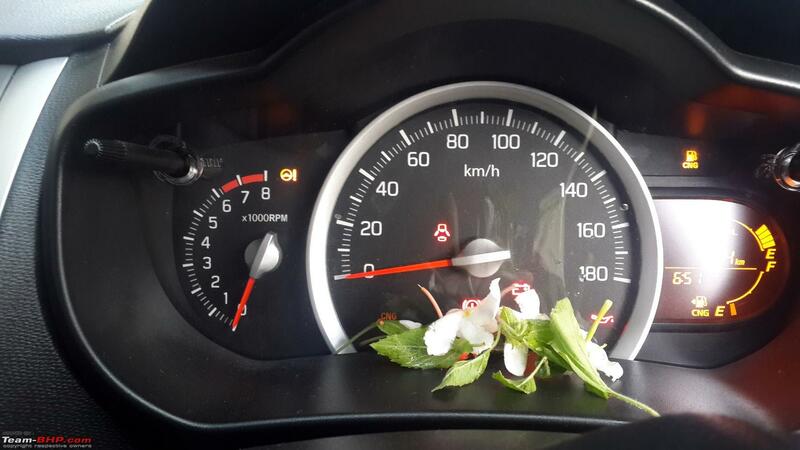 After about 2 kms of test drive I stopped; turned OFF the engine, restarted engine, turned ON the a/c and then after removing my foot off the brake pedal, the car did creep forward without my foot on the accelerator. 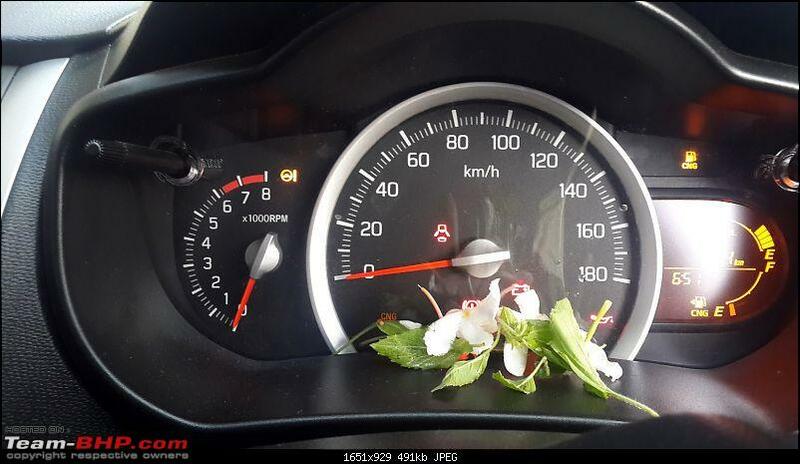 At this creep speed of 5~10 kmph it just went on an on. Why this difference? Does the a/c being ON/OFF play a role in creep capability? Here's my Celerio Vxi Cng. Got the Celerio delivered last Sunday. Due to a busy schedule, family took the delivery. Got it spiritually authorized later that evening. 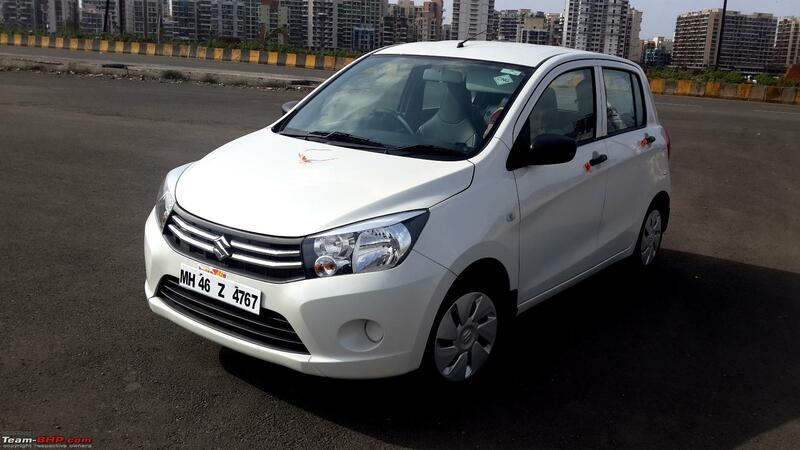 - Has a really good spacious feel as the beige interiors and the swift steering wheel makes it look like you are about to drive a larger premium car. - Has enough space at the rear for 3 people. - Hate the ICE, thanks to the pathetic choices that MGA has to offer. Almost no choices here. Just for information - The HU is a Sony 2 din with BT & calling facility. 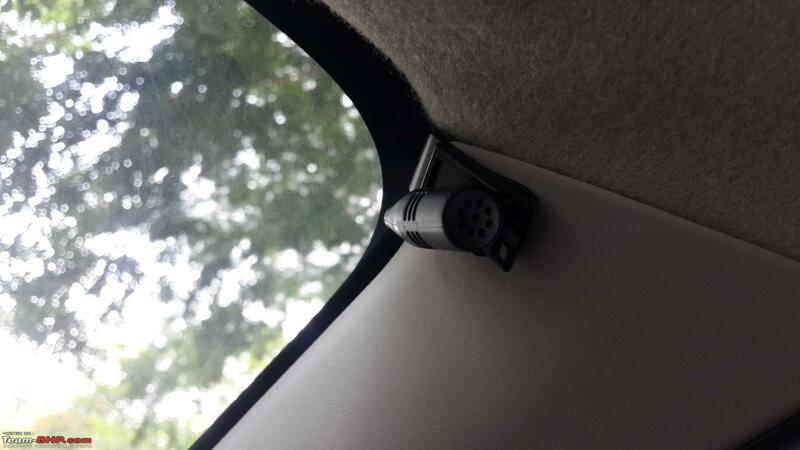 Mic is attached on the A pillar on the Driver's side. The speakers are JBL c6, well they work! Had to get it from MGA for avoiding warranty issues. - The boot space is intelligently utilized and has enough space to fit in two airbags for a couple of days travel. - Very good ground clearance. I mean it feels like this car can handle off roads too. - The k-series engine is smooth and rev happy. Even in CNG it feels peppy and ready for some fun. 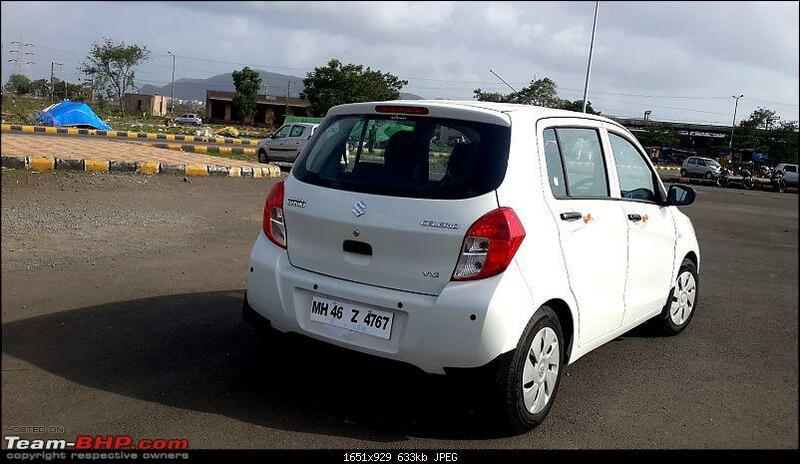 - The tank can only fit around 8.5kg of CNG, but the FE compensates that. - Amazing FE for a car. My bike returns less FE than my Car. - Steering is a bit too responsive. It may be just me but it does feel so. - Car in CNG does growl a bit and the sound can be heard in the cabin too. - Suspensions are excellent. Absorb everything easily. - CNG does not act as a hindrance in the ride quality. It feels great to drive around city and also on the highway. 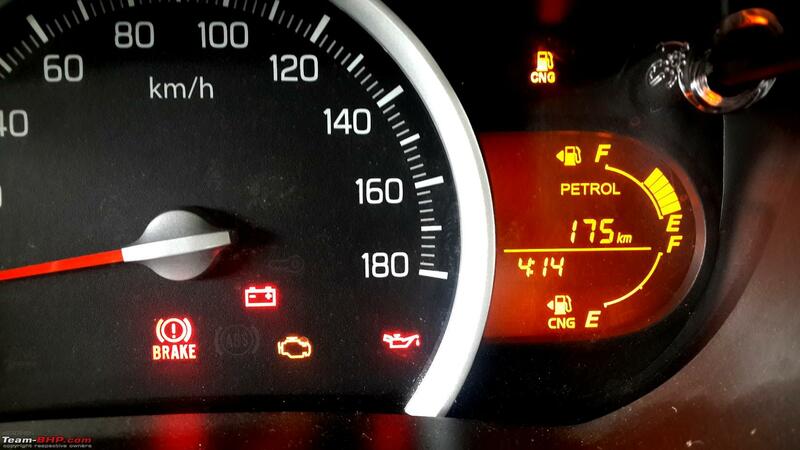 Although yes it's not as peppy as the petrol mode. - The gear box is quick and easy. Changing gears often is not a hassle. - Visibility is an issue with the A-pillars while taking a continuous turn as it does obstruct the view to quite an extent. - Feels under powered when it comes to quick stop and quick go. - Overall a great package and feels all penny worth it. Congrats! Do you have any pic of the boot? I would like to see the way CNG tank has been fitted. Thanks Bro! Buddy i have posted it earlier in a different thread. Congrats on a your new buy.Its really a wonderful car. 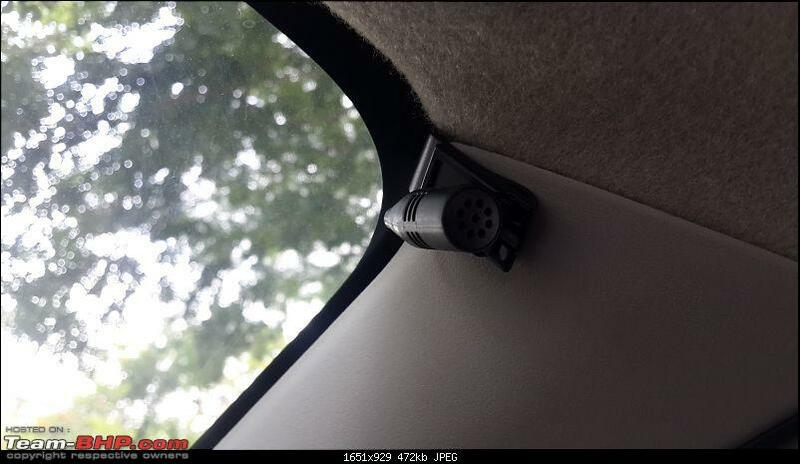 Did you install the music system from outside or from Maruti Accessories shop? What speaker size can the front door take? 5 1/4"? or 4 inch? My parents were too skeptical on trying something from outside. Also I wanted to include as many things in the loan amount, as possible. 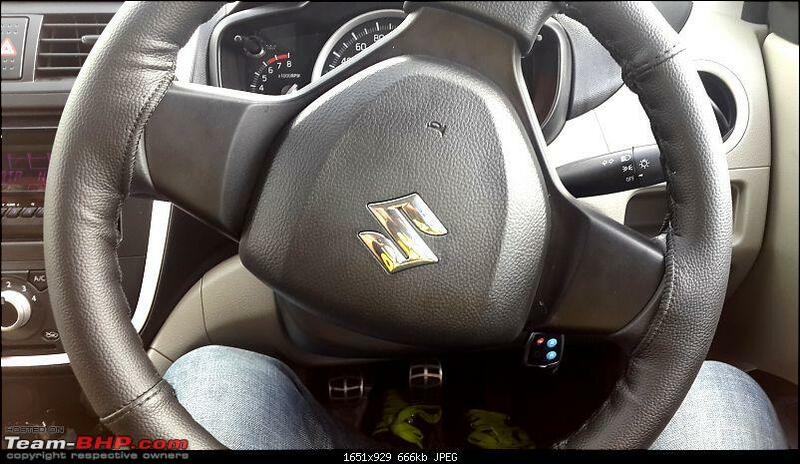 So eventually we decided to go with Maruti genuine accessories itself. The doors have the JBL cs6. 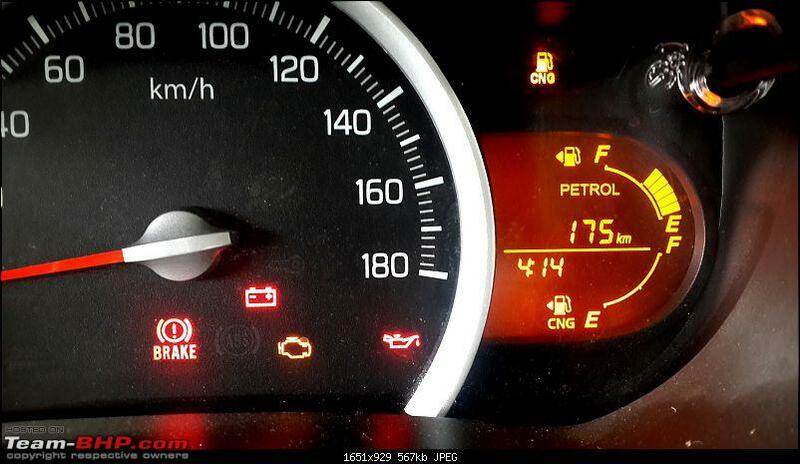 Maruti did not have components. Anyways, will upgrade in a year or two. For all the dimensions, kindly refer to the below link. So it can take 6.5inch? Just a bit confused. I thought its only 5 1/4"
I am going to order from snapdeal,so i should be sure of the size before i could order. Hope they haven't done any modification to fit 6.5inch? Yes they can take the said ones. I am not sure if any modifications are required or not. You could probably ask the accessory department in the showroom regarding the same. Trust me, in case you are planning to buy from outside; go for the component speakers. Much better than these. Also many aftermarket HUs available for almost 60% the cost as compared to Maruti. Whatever you choose, see to it that no wires are cut and it's a socket to socket placement. If wires are cut, Maruti will void warranty. "MSI had increased monthly production of Celerio with AMT option to 6,500 units now from about 4,500 units when it was launched. 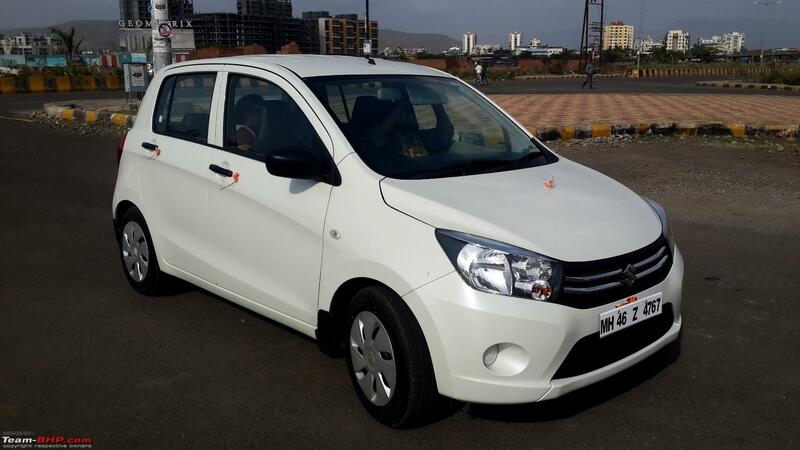 Almost 7,000 units of Celerio AMT have been retailed so far, while for the manual transmission variant the sales stood at 22,000 units, the spokesperson said." There is something wrong with these data. 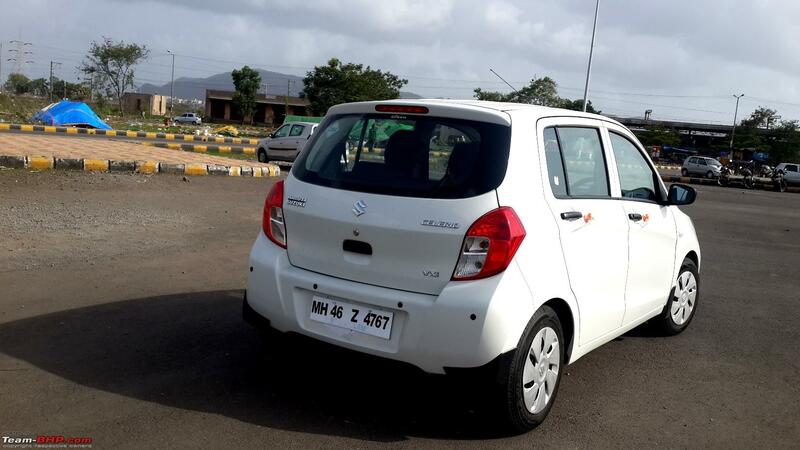 Launched around 4 months back, with a capacity of 4500 units per month, the AMT model should sell around 18,000 units. Then why only 7,000 retailed so far? I was considering Celerio as my second car and thought the 'Cerulean Blue' was a pleasant colour in which the shape of this car looked better. The review on T-bhp had this colour on the review car and the reviewer gave a thumbs up for this colour as well. By the way, the T-bhp review helped me to decide on the car/ colour; many thanks for the crisp and unbiased review. However, I own a Tata Safari with a comparatively dark colour (Cycus Grey) and did not find it difficult to maintain last 6 years. How the 'Cerulean Blue' in the shape of a Celerio would fare in this regard is what I am contemplating before booking the car. Took delivery of VXi yesterday. 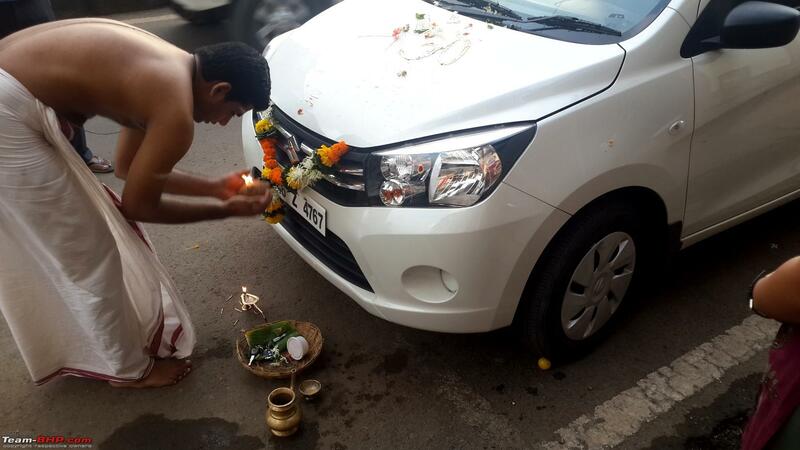 This happens to be the 7th Maruti/Suzuki that our family has purchased in past 20 years from the same dealer. 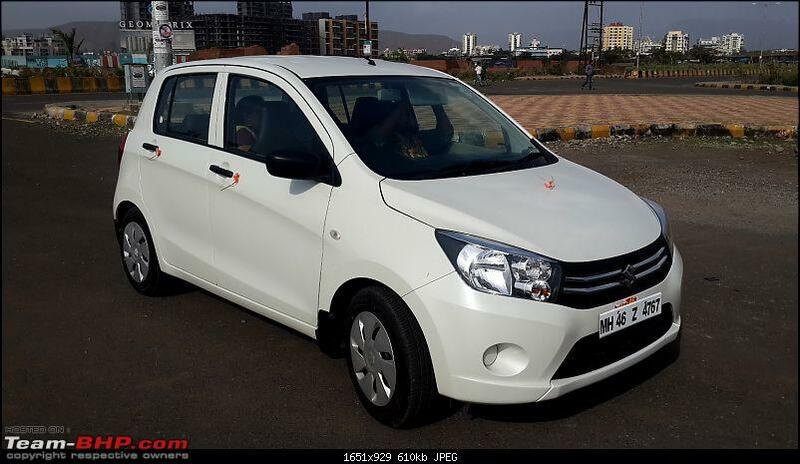 This time the Celerio replaces the Alto K10 which was 3+ years old and just 19K on the odo. Note: My thoughts are in comparison to the other 3 cars that we have ... Wagon-R, ANHC and the Lancer; I am used to driving all these. 1> For someone who is accustomed to an Alto, will notice the base of A pillar obstructing their view. This is not much of a problem while driving but is an annoyance while taking a U-turn, parking and reversing. Yet this is far better than the ANHC. 2> AMT is a breeze. The stress of driving in city is gone. After driving 25 Kms in city through thick n thin traffic I was not as tired as I used to be. 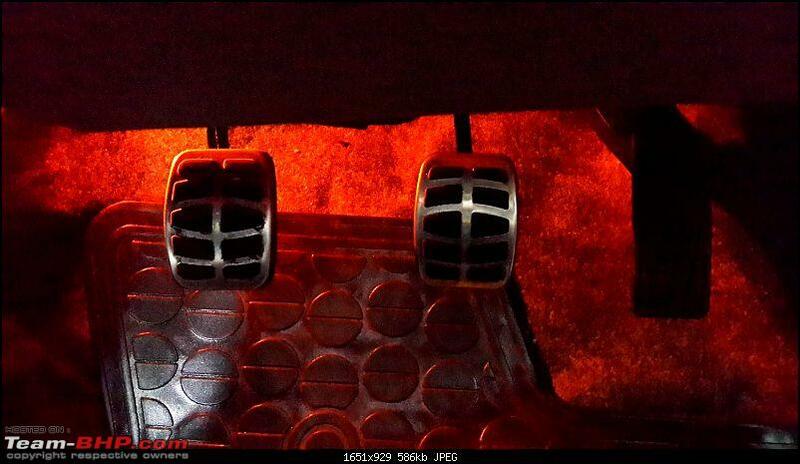 3> Thankfully the brake pedal is not extra wide, like those in some US cars. Let me explain ... for those who are not accustomed to driving an AT there is a high risk of vehicles crashing into your rear. This happens due to the inadvertent use of left leg to depress the clutch (which is not there) and in doing so the left foot hits the brake pedal, had it been wider. The hard braking will result in a rear-end collision. 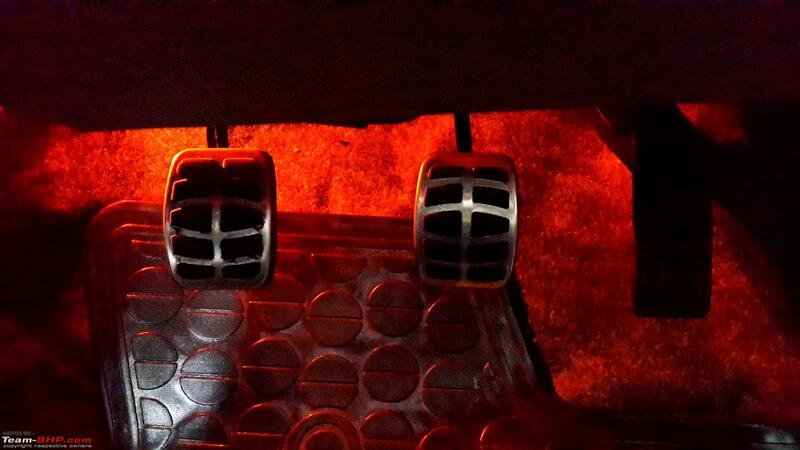 On two occasions while driving at speed of 30~40 my left leg shot forward but could not find any pedal in it's path !! 4> Breaking out of traffic, the road is clear now, so an ample press on the accelerator makes the car wake up lazily. There is much latency when shifting from 1st to 2nd but then it is much quicker for 3rd to 4th to 5th. If there is an uphill incline during the breakout moment and with 4 people in car? .... I wish I hadn't sold my Alto!! Till the time everyone else has an AT there will be times when the cars behind you will honk impatiently at your laziness !! For those who is accustomed to the super agility of the ANHC, this could be a deal breaker. 5> The swoop-down center console somehow steals the left knee-room of the driver but not so for the co-passenger !!! I am a not tall yet my left keen is always touching the swoop-down of the dash. Is this because the left foot has no work to do and thus always drawn back and thus raises the knee to touch the dash? If this is the case then I am going to DIY a dead pedal for the left foot. 6> Suspension is far better than Wagon-R and Alto and not too soft as the ANHC. Full marks to ride quality / comfort. 7> The AT is fine for my wife or dad. 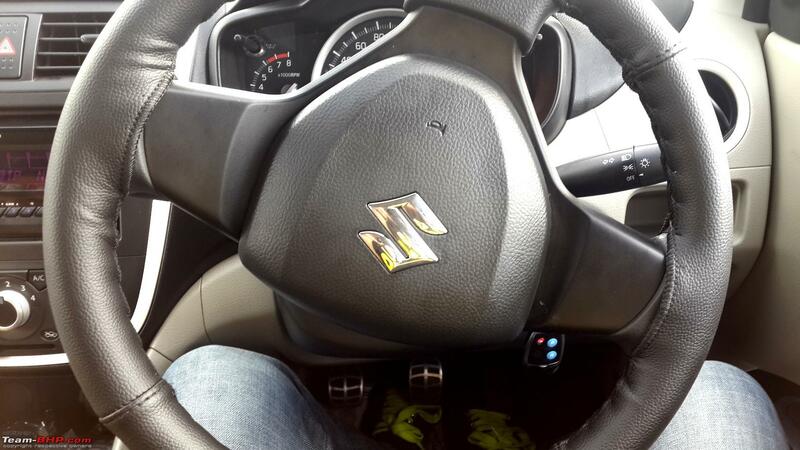 For me - a petrolhead enthusiast, it took only 20 kms to decide that I will always drive this car in M mode. In the manual mode I get most of the benefits that a conventional manual transmission car offers ..... *Can make use of engine-brake + disk brakes for a controlled stop (not always possible though). *Can breakout and shoot twice as fast. *Can overtake other vehicles with the required torque and precision. *In M mode there is no need to downshift manually when speed drops. The car's anti-stall feature downshifts automatically and MFD shows the gear engaged. We simply need to keep up-shifting manually and forget about down-shifting. 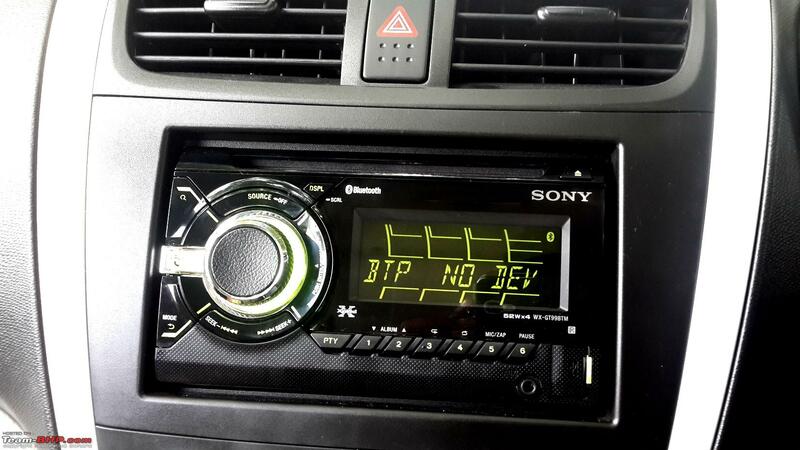 This feature in the M mode of the AMT Celerio takes the cake. It removes the stress out of driving without stealing the fun out of an enthusiast. it took only 20 kms to decide that I will always drive this car in M mode. In the manual mode I get most of the benefits that a conventional manual transmission car offers ..... *Can make use of engine-brake + disk brakes for a controlled stop (not always possible though). *Can breakout and shoot twice as fast. *Can overtake other vehicles with the required torque and precision. *In M mode there is no need to downshift manually when speed drops. The car's anti-stall feature downshifts automatically and MFD shows the gear engaged. We simply need to keep up-shifting manually and forget about down-shifting. 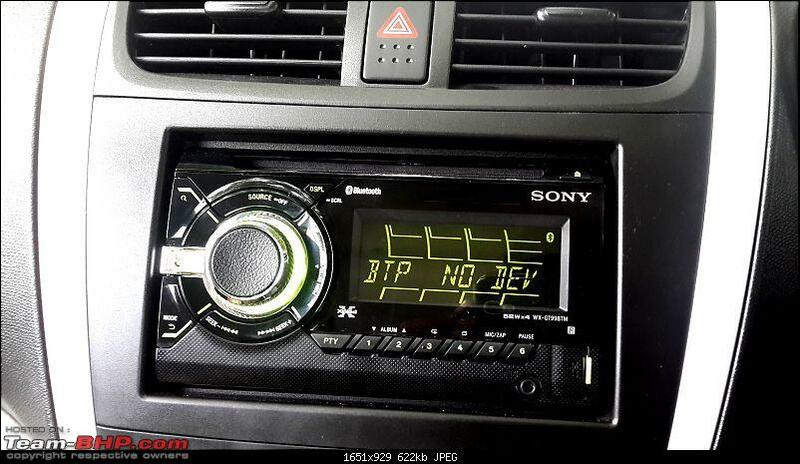 This feature in the M mode of the AMT Celerio takes the cake. It removes the stress out of driving without stealing the fun out of an enthusiast. +1000 to be above point. We are in the process of booking the Celerio for my dad and wife. Both me and my brother took test drives and we were very impressed with Manual mode especially the need to take care of only upshifting. Another thing that is praise worthy - I was very sceptical about how the car will handle steep inclines. So I took the car to a road with a decent gradient (about 45 degrees). I just engaged the handbrake and released after giving a bit of throttle. The car went forward with ease.